The Encore is a conical burr coffee grinder that offers the versatility to grind beans for many brewing methods. The weight (8 pounds) of this grinder offers extra stability and the timer makes it easy to use for your daily cup of joe. Coffee industry experts have tested the Encore for filter brewing and found that it produced a cup that was “head and shoulders” above other domestic grinders. *Now includes free UPS ground shipping within the contiguous U.S.! 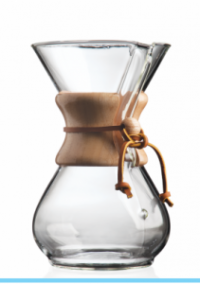 Just select free ground shipping for electric roaster purchases upon checkout. 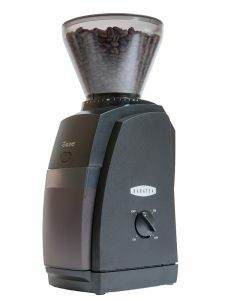 The Encore is a conical burr coffee grinder that offers the versatility to grind beans for many brewing methods. The weight (8 pounds) of this grinder offers extra stability and the timer makes it easy to use for your daily cup of joe. 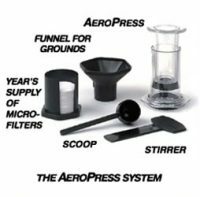 Coffee industry experts have tested the Encore for filter brewing and found that it produced a cup that was “head and shoulders” above other domestic grinders. 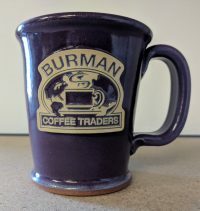 The Encore does not produce excessive fines which can produce bitter tasting coffee. Calibration System: Commercial grinders have a calibration system to ensure that the grinder will grind fine to coarse. Now this feature is available in a grinder designed for home use. An innovative burr calibration system ensures that each grinder has the full range of grind. The grinders are calibrated when they are manufactured to ensure an accurate range of grind. If necessary the grinders can be user calibrated. DC Motor: A powerful, high torque DC motor effortlessly drives the burrs. This motor turns slowly resulting in cool, quiet operation and permits long grinding duty-cycles. The circuitry is equipped with an automatically resetting, thermal cutoff switch. Speed Control: The Encore uses a combination of gear and electronic speed reducers to slow the spinning of the burr to 450 RPM. This slow speed reduces heat, noise, and static generation in the grinder. It also ensures that the beans feed smoothly into the burrs. Pulse Button: A front mounted pulse button makes it easy to grind directly into an espresso filter basket. After you remove the coffee grounds bin, you can insert your filter basket (portafilter) directly under the dispensing chute to collect the coffee as it is being dispensed. You can push the pulse button with your thumb while holding the filter basket for true one hand operation. One Year Warranty: If your grinder has a problem, you may resolve it by checking our easy to use on-line troubleshooting guide at Baratza.com. Simply go to support center, troubleshooting and click on the picture of your grinder. You can also e-mail us at support@baratza.com or call (425-641-1245). If we can’t solve the problem, we will promptly send a replacement grinder and a return tag for your old one.